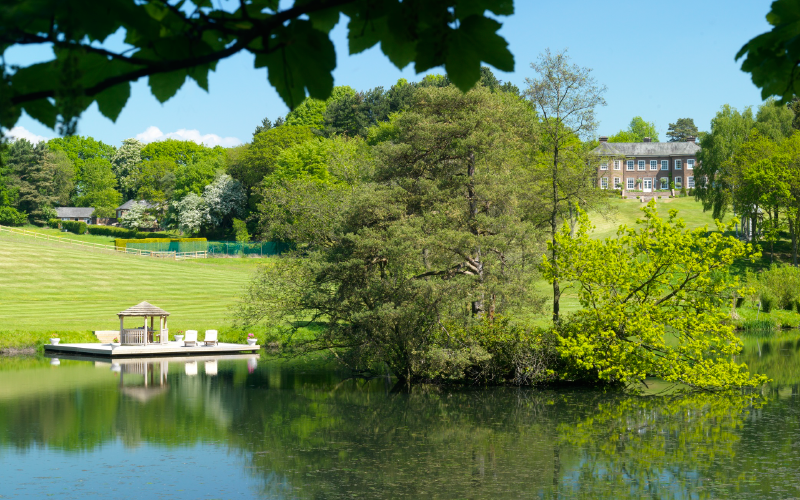 Delamere Manor provides a classic yet contemporary backdrop to launch your latest product. 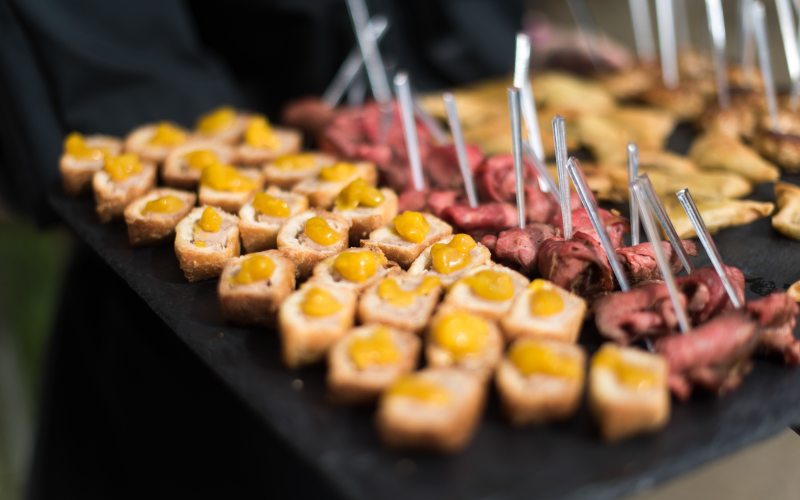 Our versatile and flexible spaces can accommodate up to 180 guests, making The Manor the perfect choice. Our sensational contemporary, glass fronted Courtyard, features a dazzling fairy light canopy. With a fully retractable roof, you can enjoy the feeling of being outside, safe in the knowledge that cover is only a few seconds away, should the unpredictable British weather decide not to cooperate! The jewel in our crown is our state of the art private night club, the perfect setting for any event. 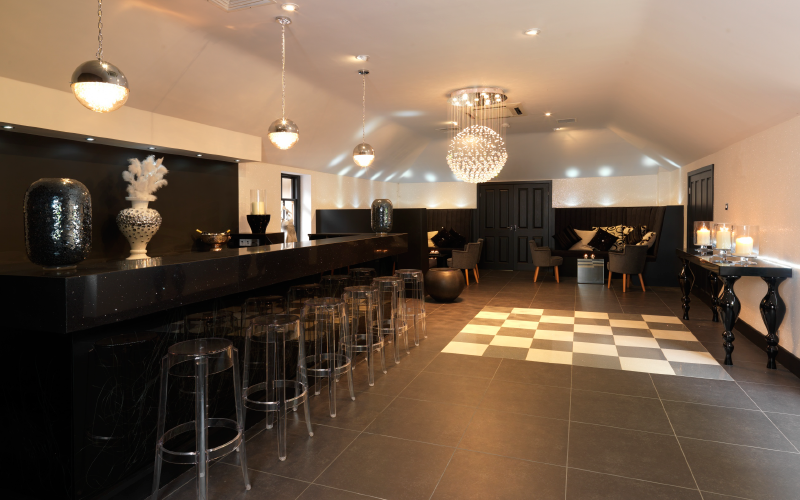 What was once Gary Barlow’s recording studio, is now an uber cool, monochrome space. 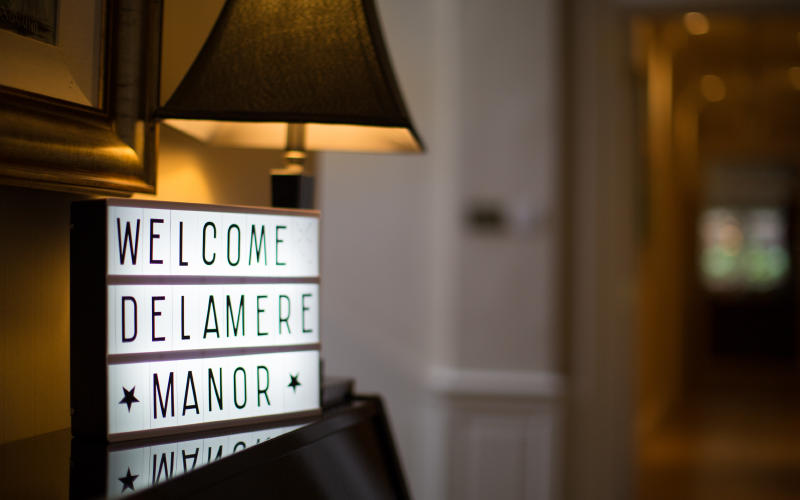 If you’re looking for something more intimate, we have a number of warm, welcoming and contemporary reception rooms which can also be utilised for launches on a smaller scale. Our in-house team can help you to create completely customised launches, please just get in touch to discuss your needs further. It is impossible to capture in a review just how spectacular the place and the team are, I can't recommend Delamere Manor highly enough. There is nowhere else like it!